With all the mixed and contradictory messages about what does and does not constitute a healthy diet, it can be difficult to separate fact from fiction. 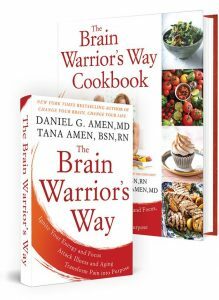 In this episode of The Brain Warrior’s Way Podcast, Dr. Daniel Amen is once again joined by Grain Brain author Dr. David Perlmutter to discuss the surprising things science tells us about what to eat and what not to eat. 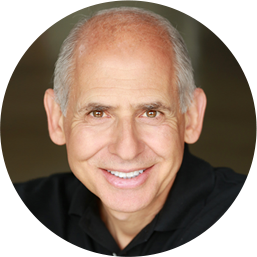 Dr Daniel Amen:	The Brain Warrior's Way Podcast is brought to you by Amen Clinics, where we've transformed lives for three decades using brain SPECT imaging to better target treatment, and natural ways to heal the brain. For more information visit amenclinics.com. 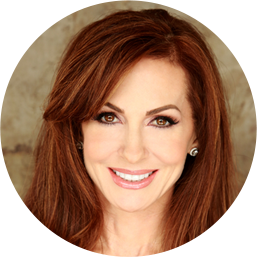 Tana Amen:	The Brain Warrior's Way Podcast is also brought to you by Brain MD, where we produce the highest quality nutraceutical products to support the health of your brain and body. For more information visit brainmdhealth.com. Dr Daniel Amen:	Welcome back. I'm here with Doctor David Perlmutter, neurologist, teacher, best-selling author, one of my close friends. I am grateful for that. I was just telling him at the break that he's just so eloquent in how he explains why you should be doing the right things. And so here we're going to talk about foods to choose, and foods to lose. We had breakfast together in West Lake north of Los Angeles. We were actually really good with what we were eating. So, to help Brain Warrior's think about what are the things to choose? I mean, let's start there, because when you get the list on the things to not eat they go, "Oh there's nothing left to eat. ", and in fact there are thousands of things to eat. Dr. David Perlmutter:	Yeah, and there are such great books written these days about preparing foods and the incredible variety. But, I think as the big macroscopic view, your plate should be colorful in the most natural way that it can be. You know, I have been ... People have said that, the "Grain Brain" diet is pretty much Atkins redux, meaning it's all about eating meat, and eggs, and dairy products, and that's it. Well, in actuality we've never said that and nor is the new revised addition about that, it's about having a plate that mostly reflects above ground colorful vegetables. Rich in dietary fiber, rich in vitamins, and rich in minerals as well, if it's organically raised. I certainly think that the main consideration in terms of the plus side is dietary fiber, along with healthful dietary fat. Protein can be from plant or animal sources. If it's an animal source then by all means fish should be wild, in my opinion, poultry should be free-range, and beef, if you choose to eat beef, should be grass fed. But, make no mistake about it, you can be wonderfully healthy and be on a vegetarian diet. You can be in ketosis for that matter, and be on a vegetarian diet. There's a wonderful book out by Doctor Will Cole called "Ketotarian". In that book he describes how you can get into this, let's say, extreme state of higher fat/lower carb. The manifestation is being in ketosis by being on a vegetarian diet. Who knew? Well, you know, pretty much if we didn't kill something or find if dead on the ground we were, historically, hunter gathers. Part two, the gatherer part, is gathering up vegetable sources of plant foods that you find and eating them, high in fiber. So historically there is a lot of merit I think to the mentality that underscores the paleo mentality of eating what our ancestors ate. Because, it was a pretty darn good diet. After all it kept us here for a couple of million years. I would certainly want to explore for just a moment, the relationship of food beyond its macro-nutrient content of protein, fat, and carbohydrates. And even beyond the micronutrient content of minerals and vitamins. That food is information. The foods that we choose to consume are actually changing our gene expression moment to moment. There was a terrific article that came out in October of 2008 by a Doctor Teng at the University of Louisville. His report in the Journal "Cell, Host, and Microbe" was very fascinating for me, because it connected two very important dots. We like to talk about food, it's information, and we've been doing it for many years, but he demonstrated that plants can release what are called "Exosomes", which contain their genetic material "RNA" that then makes its way to the bacteria that live within us when we consume these foods, these plants. These Exosomes then work their way into the bacteria and inject their RNA and that influences the gene expression of the bacteria that live within us. Wow. We are changing the gene expression of the bacteria living within us based upon the genes found in the plant that we ate. The effects upon the bacteria are at least three fold. It affects their rate of replication, how quickly they grow. It effects what they do metabolically in terms of the products that they are producing. And, it affects their location in the gut. Their location changes based upon the food that we eat. Why is that important? It's critically important because some bacteria need to be located near the lining of the gut so they can go to work to repair the damaging effects of our diets to the lining, and therefore help us reduce inflammation. Again, the cornerstone of degenerative condition. So this is a powerful connecting of dots that just, doesn't keep me up at night but almost could, relating the genetic material of the food we through the bacteria in our gut to our ultimate health. I didn't think about it at the time but as I, no pun intended, digested this research since then I've begun to think about how valuable and important, considering the genetic material of our plants, is in the context of gene manipulation. So, genetically modified foods then may very well pose a threat because they do change the genetic expression of our gut bacteria, and may therefore have an effect on our health. That has never, ever been explored by any of these agri businesses that are producing these genetically modified plants that are consumed almost globally. So, that's what we should eat, what we shouldn't eat. I think I made that clear. We've got to stop the sugar and other refined carbohydrates. The bad oils. The high inflammatory omega six oils that line the grocery store shelves. I think artificial sweeteners are among the biggest threat on the planet today, because of the changes that they impart on the gut bacteria. Let me say one other thing that's interesting along the lines of sugar. Several weeks ago I was on the CBS This Morning Program. I had a new book coming out and they said, "Doctor Perlmutter has this new book and it's based on a book from five years ago. In the book Dr. Perlmutter talks about the dangers of sugar as it relates to the health of the brain." Before they get to me for the interview they said, "But we reached out to the sugar industry for their comment." And they said, "Sugar is great in moderation as decades of research would have you believe." Then they turned the camera to me, and I just took a deep breath and smiled. I said, "Well you know that's what they said about tobacco years ago, and can we move on now." But, you know, as a side note, it's just an interesting, kind of, commentary in terms of where television has gone these days. Everything is negative. I'm a guest in their home on your set. I've come up to New York to do your show to tell people what they can do to maintain their health and make lifestyle changes and right off the bat it's, "Oh yes, but Doctor Perlmutter you know that sugar's actually good for you." It got worse from there on. But that's okay. Our mission, yours and mine and so many others, is to light the candle. Dr Daniel Amen:	My goodness. But that actually goes into another part of your work which is society, especially the news media, setting up conflict and negativity is a way to increase their ratings. So, not that we can impart useful information. Although you and I both have been able to do that on public television, where we have an hour with viewers to teach them. We're not into conflict, we're just into information. People love that right? Your shows, my shows, have been wildly successful in educating the population. A couple of things. Dairy, so you had mentioned dairy. My worry about dairy is almost all of it is raised with hormones and antibiotics, and most of us don't have the enzyme to process it. Plus when you mix [inaudible 00:11:07] with stomach acid, I'm not sure if I learned this from you, but if you mix it with stomach acid it actually turns into apomorphines that work on the heroin centers of your brain. So generally, I make Tena a pumpkin spice, almond milk cappuccino in the morning. You know, I pretty much try to stay away from diary. Dr. David Perlmutter:	You're a good guy. Dr Daniel Amen:	I am. It's how I tell her I love her. Which just makes my life better in so many ways. But talk about dairy just for a minute and then we're going to move on and talk about the gut in our next Podcast. Dr. David Perlmutter:	Hey in my heart dairy is a very threatened food. I think if people want to put cream in their coffee, having a little organic milk wouldn't be aggressive. I think butter, organic raised butter, isn't necessarily the worst choice, high in butyrate. But by in large what is milk? Milk is a concentration ... A liquid that's concentrated in that animal, particularly the cow, from everything that cow has been exposed to. And, you know, this bio-concentration of hazardous things to which that animal has been exposed is extremely worrisome. Especially in the factory farm where that animal is given food to eat that may well have been sprayed with glyphosate, the herbicide active ingredient in Roundup, with that animal losing some of its antibiotics into its milk, and who knows what else. Hormones have been given. We know that's been done for quite some time. I think that there are good vegetarian substitutions for cheese, and I'm all in favor of it. I think what we were talking about ... What we were talking about in our new book that comes out next year is, there is a book written called "One Meal A Day" by Suzy Cameron. And it is a book that talks about the impact on your health and also globally, environmentally, if we all shift to at least one plant-based meal a day. We're all over it. I think it's a great idea. I think the less animal products in general is probably going to turn out to be the best choice. That's a stronger position towards plant-based than I have taken in the past. So is my position changing? You bet, it is. And that's a good thing that Doctor Perlmutter and Doctor Amen and others change their position with time as we learn more. So I think by in large, you know, I might put a little whitener in my coffee ... a milk-based whitener in my coffee, but beyond that I'm not a huge fan. Dr Daniel Amen:	You know, one of the things that I often think about is when humans are upset, when we're depressed, when we're isolated, when we're lonely, when we're angry, we produce certain chemicals that are associated with that. Our body actually responds immediately to the quality of thoughts we have. But the same thing is true with animals. When animals are lonely, when they're depressed, when they're angry, they're producing chemicals that are associated with those conditions. I think if you eat animal protein that's not sustainably raised, where they're really thinking about the humane aspects of it, is that we are also getting those chemicals that clearly are not good for us. Dr. David Perlmutter:	Well I want to go back to something you said a moment ago and underscore the mention of Casomorphine. The fact that we create these morphine like chemicals, gluteomorphins found in wheat for example, that we are consuming these chemicals that ultimately stimulate the opiod receptors in our brains by the very nature of the foods you are eating. I want to talk about that in the context of the opiate crisis in America. Dr Daniel Amen:	So keep that thought, because we have to go to the next Podcast. But, I would love for us to talk about the addictive nature of food. So, stay with us with Doctor David Perlmutter. His new book is the revised version of "Grain Brain". Truly a historic best seller, and just wonderful book that you should read. Stay with us.